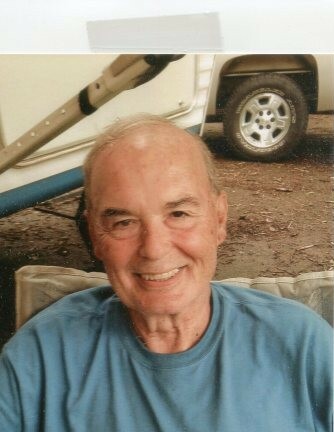 Marty Taylor, 75, of Crestwood, KY passed away on February 6, 2019 surrounded by his loved ones. He was born in Louisville, KY on January 31, 1944 to the late Chester and Emily (Pace) Taylor. He was an Eagle Scout, trumpet player in The University of Louisville Marching Band, started and actively played in The Marty Taylor Band for 30 years, founding member of the Oldham County Moose Lodge #2415, pipefitter by trade, and an avid hunter and camper. Most recently he was a school bus driver for Oldham County Schools for 13 years, a responsibility “Mr. Marty” truly enjoyed. He is survived by his wife of 49 years, Barbara L. (Zinkan) Taylor and children Christopher Taylor (Sara) and Christina Collins (Chris) and grandchildren Austin Taylor, Mason Baker, Claire and Paige Collins. He absolutely loved being a grandpa. The joys of his life were spending time with family and friends. Visitation will be Friday from 4:00-8:00 pm at Stoess Funeral Home in Crestwood, KY. Saturday, visitation will be from 9:30-11:00 at Immaculate Conception Church in LaGrange, KY. Funeral mass will follow at 11:00 with burial at Floydsburg Cemetery. Lunch will follow at Immaculate Conception at 1:00.